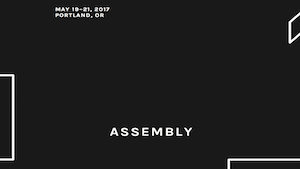 Assembly 2019 will take place May 3rd, 4th, and 5th in Portland, Oregon and is free and open to the public. 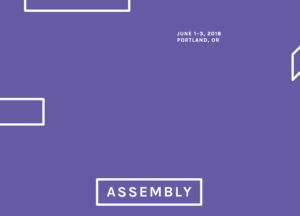 Join us in shaping the collective experience at Assembly, a weekend of free, thought-provoking events that include discussions, physical activities, participatory projects, meals and workshops. 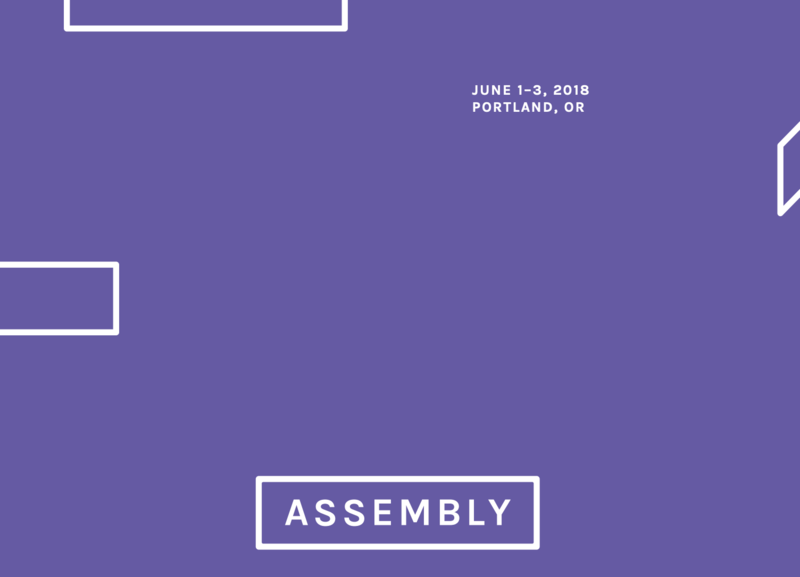 This 6th edition of Assembly will explore social issues, power, migration, recreation and memory in Portland’s most diverse neighborhood, where communities grapple with development plans while cultivating spaces to thrive. 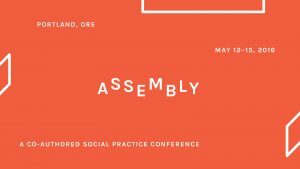 This three-day program of activities will take place at Mt. Scott Community Center and venues around the Jade District & 82nd Ave Corridor. 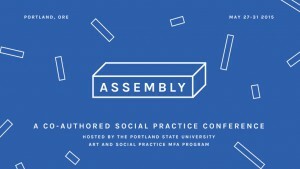 Members of the PSU Art and Social Practice MFA program organize Assembly every year to showcase current work and collaborations with members of the local community. Attend one or all of the events. Ongoing – SoFA Journal reading nook hosted by Spencer Byrne-Seres, Eric John Olson and Tia Kramer.  10:45-11:45am – Scores that make space for one’s practice. With Carlos Reynoso, Jordan Rosenblum, Nola Hanson, Brianna Ortega. 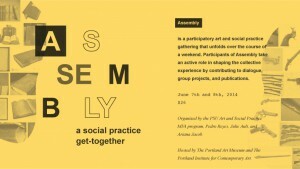 At Harrison Park (near Harrison Park Elementary), 1931 SE 84th Ave, Portland, OR 97216 — 1:45-2:45pm – Play & Work. 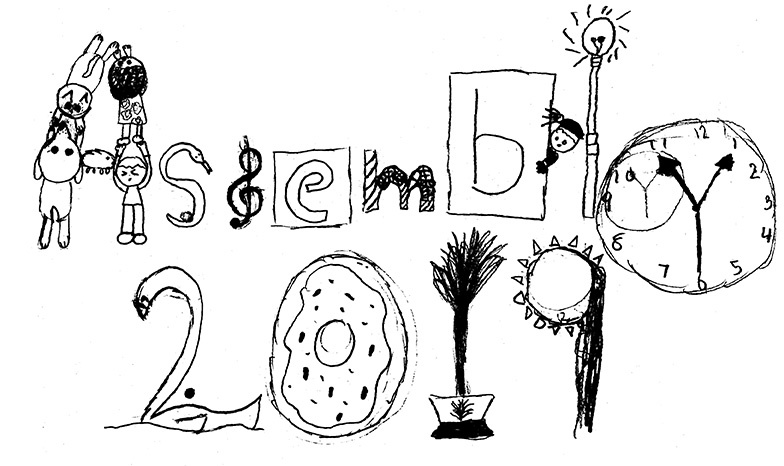 Scores exploring adult’s relationship with play by Harrison Park School Students and Brianna Ortega.